The main difference between a radio host like me and folks like Robyn Bresnahan at CBC Ottawa is that I make my politics known while Bresnahan pretends to be neutral while pushing Liberal talking points. Her interview with Doug Ford on Tuesday morning was nothing less than a hit job using Liberal Party of Ontario talking points and an agressive and angry tone she doesn’t take while interviewing Kathleen Wynne. The first “expert” she cited was Mike Moffatt, an economist and former advisor to the Trudeau government, who is currently Director of Policy and Reasearch at Canada 2020. Canada 2020 describes itself as a “progressive think tank” but it is of course more than that. This organization was founded by Tom Pitfield, a friend of Justin Trudeau since childhood, and the husband of Liberal Party President Anna Gainey. Other co-founders include Tim Barber and Susan Smith. More on Smith in a moment. Bresnahan claimed that Moffatt had, “calculated that a PC government would have to cut about 40,000 public service jobs.” She then asked Ford about cutting public service jobs. It’s bad enough that her first expert is someone whose current work is so closely tied to the Liberal Party but Bresnahan did worse than that, she mischaracterized Moffatt’s work, something that James Wallace already detailed in the Toronto Sun. Hmmmmm…..where could Smith and Bresnahan have gotten those ideas? Well in addition to being Liberal Party of Ontario talking points, that very sentiment was also the subject of a Toronto Star editorial. Who could believe it! CBC, the Star, the Liberal Party of Ontario and Liberal strategists and researchers all working together to attack Doug Ford and the PCs on our public, taxpayer funded airwaves! It’s like they all sing from the same leftist hymn book. Of course they actually do, not that Bresnahan will ever admit that. CBC types love to proclaim their neutrality while being hostile to every conservative idea or politician and friendly with ever leftist. Bresnahan attacked Ford for saying that he would not raise the minimum wage from $14 to $15 and would instead take the lowest income people off the tax rolls so that they could have more money in their pockets without harming business owners. Faced with that, Bresnahan feigned, I hope, mathematical ignorance. She pushed him on climate change, she pushed him on job cuts, she pushed him on every single Liberal issue and then finished the interview asking why he hadn’t sued the Globe and Mail for claiming he sold hash. Any time that Doug Ford tried to make one of his points, she cut him off. This is an interview I would never conduct. I would never be so rude to Kathleen Wynne. Neither would Bresnahan. She did a year end interview with the woman that oversaw the college strike, oversaw the decline of our education system to the point where half of students in grade six can’t meet the provincial standard and increased hallway healthcare in Ontario. 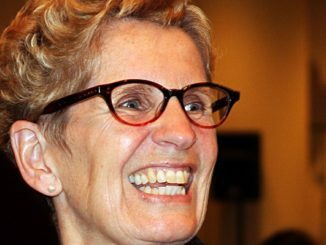 That is just a start for what Kathleen Wynne has done to Ontario and Bresnahan’s interview with Wynne was a, “What do you say to….” kind of interview with no tough questions. There was no animosity, there was no push back on her pat leftist answers, no research to throw in her face. It was a puff piece. I’d like to say that I expect better from CBC but I don’t. I gave up on them long ago and just this last week they showcased how far they will go to push their own leftist agenda. If Bresnahan and the rest at CBC were willing to admit that they were pushing left wing politics, that they were the flip side of me, then I would not be complaining about them. The real problem here is that Bresnahan and the folks at our state broadcaster like to claim that they are neutral observers while putting their hands firmly on the left side of the scale. While I’m loathe to push CBC material, this interview with Ford has to be listened to for you to know how bad it is. What is the percentage of the population in Ontario that works directly or indirectly for the government? And let’s not forget that the president of Canada 2020 is married to the president of the Liberal party and both accompanied Trudeau to Fantasy Island for Christmas — aka — the island of the Aga Khan. More than just a childhood friend, I’d say. Also, let’s not overlook the CCLA twitter hint recently, that they need cash to stop Ford! Important because they participated in the take down of the federal conservative government in 2015 alongside Leadnow and march alongside Black Lives Matter, No one is Illegal in the Pride Parade and the Women’s march against Trump. They also worked tirelessly to gain Omar Khadr’s release and compensation. i wonder if they got a commission? And yet people vote for these crooks. Astonishing. I’m curious, who can tell me one thing that the Liberals have done that benefits Canadian taxpayers? “Neither would Bresnahan.” Of course. That interview you linked to was not Bresnahan. It was Hallie Cotnam, who replaced Bresnahan while she was on parental leave. Different journalist, different approach. At least listen to the damn audio before trying to paint a false picture, for Christ’s sake. Frankly, I don’t care who conducted the interview near as much as I care about it’s content. Anyone could tell it was going to be a hostile, pro-liberal, anti-conservative interview after her first couple of sentences. I wasn’t sure how I felt about Ford prior to the interview, but I do now. I’m sure that CBC interview caused Ford’s polling numbers to jump. CBC HAS ALWAYS BEEN OWNED BY THE LIBERALS , THEY ARE COMPLETELY BIASED AND NO ONE WITH A BRAIN SHOULD LISTEN TO ANYTHING THEY HAVE TO SAY ! I listened to the whole interview. Got to give Doug Ford credit for not taking any BS from CBC. The year end interview of Wynne was actually done by Hallie Cotnam, the replacement host for Robyn Bresnahan during her recent maternity leave. But your mistake was an easy one to make because it doesn’t matter which host is involved. The persistent pro-Liberal bias in the crew at Ottawa Morning is as bad as it is anywhere at the CBC. 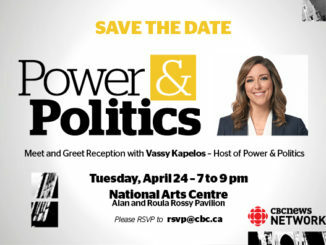 No doubt it won’t be seen that way by the upper brass at the CBC – and, sadly for the future of Canada and Ontario, it won’t be seen that way by their massive clan of indoctrinati. Ford will have an uphill fight against the extended Wynne machine (and the public funds that they use). He will face another war too – against the persistent and determined manipulators in the back rooms of the Ontario PC Party – as well as against the many thugs and cowards in the current PC Caucus and among those non-conservatives who were manipulated into positions as candidates by Patrick Brown and his team. 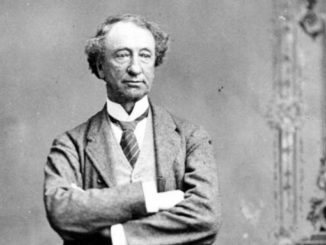 Mr. Ford will need real help to get past that enduring anti-conservative rot that continues to sit at the heart of the PC Party. This interview is not allowed in my area. I am currently living in Manzanillo, On the Pacific coast of Mexico. Congrats to Doug Ford. He is a breath of fresh air! So glad I listened to this whole interview. Doug stood ground and did not waver. We have been so frustrated with government waste. We believe as Doug said, the Government could be run far more efficiently than it has been over the last several years. Does this interviewer not get the difference between cuts and efficiency? And she sounded so angry and biased. I maintain that in order to get out of debt one must either DECREASE SPENDING or increase revenue. The residents of Ontario are paying too much now in tax dollar revenue to the Province. Doug Ford is on the right track when he is committing to decrease needless and wreckless spending, as we have witnessed in recent years both federally and provincially. I have every confidence that with a little time and much combined effort Doug Ford and his party will succeed with a platform that will surely benefit all residents of Ontario. After only a few days as party leader, we have already caught a glimpse of his vision. You’re comparing Tonsils to abortion she asks incredulously, as though abortion was the lesser of the two surgeries. Wow! If a parent would require knowledge of and permission given for a tonsillectomy then how much more so for an abortion…and that was the point Doug Ford was making. The only CBC Radio worth listening to is Saturdays #TheDebaters, #ThisIsThat and #TheIrrelevantShow …. the news is all Liberal biased #horsecrap. I was impressed how Doug handled the interview. He won’t be bullied. I’m hoping for a PC majority and many long overdue changes in Ontario. This was not an interview, this was a hatchet job by another elitist left wing nut. Defund the CBC! I try and avoid the CBC as much as possible. They can puff and puff and puff but they won’t be able to blow Doug Ford down. wow what yellow journalism! i am no fan of doug, but this was so biased it was unreal – contrast this with how Evan Solomon handled Wynne on your station. he kept her feet to the fire, but he let her talk. Ironic that Ms Bresnahan’s interview is considered aggressive when a Tory is in the chair, perhaps Mr Lilley is envious because Mr Ford was put through the ringer, that’s how it’s done Mr Lilley, listen & learn.